It's getting to be that time of year again. 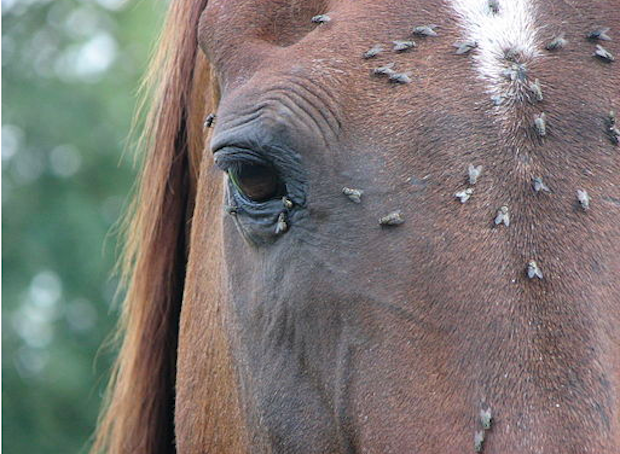 As the warm weather approaches, so do the flies that make your horse (and you) miserable. But help is on the way! There are many products that purport to get rid of flies. As a stable owner for many years, I strongly recommend fly predators. Hands down, this is the best way (and only way, in my experience) to significantly reduce the fly population on your property to nearly zero. Our stable housed 20-25 horses, and horses were turned out daily on large pastures. Yet flies were few and far between almost immediately after introducing fly predators to our property. Fly Predators are beneficial insects and the natural enemy of flies. These insects never bother humans or animals; they don't sting or bite. Instead, they feed on fly larvae, so they stop flies before emerge. Fewer emerging flies means fewer flies available to reproduce. Before you know it, voila! No flies! ​How to use them. You just sprinkle on horse manure areas monthly starting after the last first hard frost. We kept a manure bucket in a dark area of the barn just for this purpose. You don't need a lot in there. Just a small amount will do. When you order them (see below), just tell them when you want to start and stop your monthly shipments. Here's SmartPak's brief video showing what the predators look like and how to use them. These are feed additives that work by breaking the life cycle of the fly in treated manure. The manufacturers assure that the products are safe, palatable, and eagerly eaten by horses. I know a number of people who use them. But I'll be honest: I never could feel comfortable feeding something so unnatural to my horses, especially given the warning they carry against feeding the supplement to animals meant for slaughter (meaning they don't want humans consuming it.) There are also natural products on the market that contain plain old garlic as their fly-fighting ingredient. But keep in mind that garlic can be harmful. There is a toxic element in Garlic called N-propyl disulfide which can change an enzyme within a horse's red blood cells, causing low-grade anemia. You can purchase spray systems that automatically spray fly repellent into barn aisles to control flies. 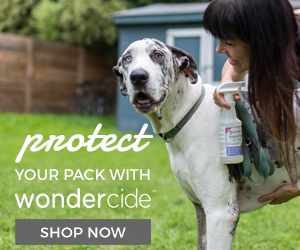 Some people worry about horses, humans, dogs, and cats breathing insecticides on a regular basis. You can use as much fly repellent as you want, but let's face it--manure piles are fly heaven. They will travel for miles to settle and breed in your manure pile. Manure piles are also fire threats. Manure generates heat as it decomposes, and temperatures in the interior of the pile can rise high enough to trigger spontaneous combustion. Once it is burning, it can be extremely difficult to put out, and the fumes from the fire can be really foul. If possible, have manure hauled off your property. Horse manure makes great fertilizer for plants. Farmers usually are more than happy to collect and transport manure from your horse barn to their farms--unless it also contains wood shavings, which cause soil to be acidic and hamper plant growth. (Hog farmers will usually take manure with wood shavings.) Local nurseries may also be interested.